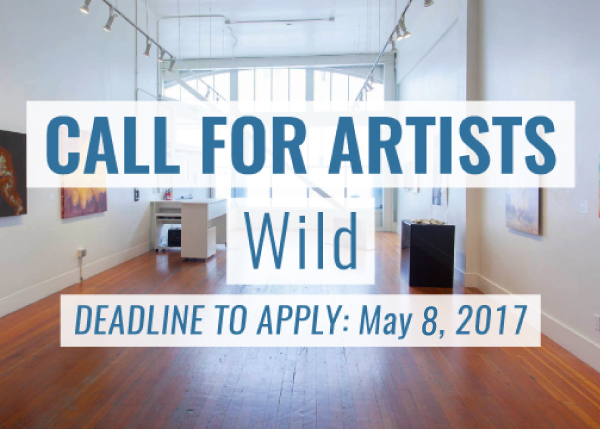 Root Division invites artists working in all media to submit for an upcoming interdisciplinary exhibition entitled, WILD. Guest curated by Marisa Aragona, WILD will feature artworks, performances and installations that attempt to express the vast infinity of the wild. The exhibition will be presented in July- August 2017 at Root Division. Artists working in all media are invited to consider; How do we convey the infinity of the wild as artists? How do we contain something so vast such as the depth of the ocean within the confines of our medium? The artists in this exhibition seek to express the aliveness of the wild, something so vast and real but can only be known as an imagined psychological space. How do we meet the challenge to envision and describe the big, wide, wild world within the confines of our chosen media? This call for entries is meant to complete a show that currently includes the work of Seamus Connley, Lauren Woods, Patrick St. Clair and Claire Brandt. Artists working in installation\sculpture, multi-media, photography and performance are especially encouraged to submit for this opportunity. or by submitting a $10 check or money order made payable to Root Division, mailed to: Root Division, Attn: Back to the Garden, 1131 Mission St., San Francisco, CA 94103. Please note that the $10 fee must be on file by May 8th, 2017 at 11:59 pm for the email submission to be considered. Artists will be notified about inclusion by May 15th, 2017.